Murray Beagley graduated from Otago University with an MBChB and undertook advanced training in plastic surgery, gaining a Fellowship of the Royal Australasian College of Surgeons (FRACS) in 2000. He spent three years post-graduate training in the UK, where he completed a Fellowship in Aesthetic Surgery at world renowned centre, The Wellington, under the tutelage of leading Harley Street cosmetic surgeons. In 2002 he gained the Gold Medal for being the best candidate in the prestigious European Diploma in Hand Surgery. Murray is a registered plastic surgeon with the New Zealand Association of Plastic Surgeons, an Active Member of The International Society of Aesthetic Plastic Surgeons and an International Member of the American Society of Plastic Surgeons. He holds a Fellowship in Hand and Microsurgery at St Andrews Centre for Plastic Surgery. 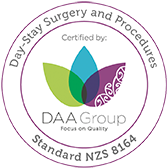 His Plastic Surgery Auckland practice is certified for quality day-stay surgery and procedures.